Goodbye 2014, and hello 2015. Honestly this past year was pretty incredible (see here), but I'm thrilled to start a new year with new beginnings. I'm really excited to work through my 101 in 1001 list, but I'm also setting a few resolutions for 2015. Each day we're given countless choices in the workplace, our relationships and life. I'm determined to broaden my horizons this year and say "yes" instead of shrinking back with a "no." This year I'm embracing opportunity and change by stepping outside my comfort zone. I've been challenging myself the past few weeks to make a list of things that truly excite me in order to help guide my career around my passions. I believe we all have extraordinary gifts and I'm determined to pursue my calling. Let's face it, rejection isn't easy and often times it stops us from trying to achieve our goals. This year i'm determined to put myself out there and take risks regardless of failure. I'm preparing myself to pile up a few rejections until I get a "yes." "And now let us believe in a long year that is given to us, new, untouched, full of things that have never been." 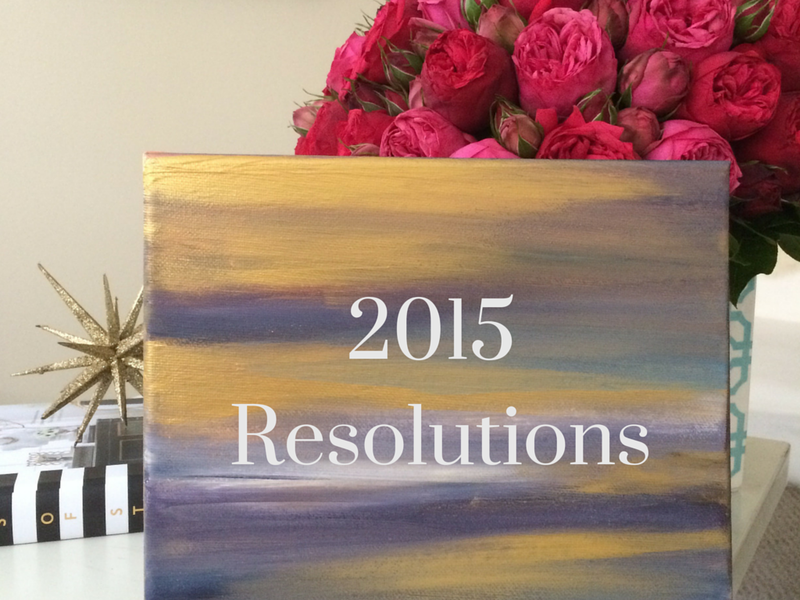 What are some of your resolutions or goals for 2015? These are great goals! I'm working this year on being more in the moment, and I think saying "yes" definitely is a part of that. Here's to a great 2015! These are great things to keep in mind for 2015!